Kentucky Fried Chicken (KFC) makes their chicken the hard way – and now, you can do it from home. Among their many oddball publicity stunts, KFC has recently released The Hard Way: A Virtual Reality Training Experience. The VR experiment is meant to train prospective employees and gamers alike in preparing the signature dish. As it stands today, The Hard Way is more of a marketing project termed 're-colonelization' than an effort to revolutionize employee training in toto; at the same time, the stunt allows us to reflect upon the ways in which industries – the fast food sector being an important example, and the subject of this intervention – mobilize media as a tool of casualization and now gamification in training its workforce. KFC’s latest stunt is not an isolated incident; it is part of an industry tradition of producing media to train and recruit employees. Music video-inspired training from the likes of Wendy’s or McDonalds’ during the 1980s are popular on the internet today, but also betray a corporate strategy pandering to a youth culture imbricated with MTV. With pop-inspired music video how-tos and KFC’s virtual experiment, fast food corporations continue to instrumentalize youth culture for training. Industry-minded texts such as Designing and Producing Media-Based Training already situate media within corporate strategy, albeit from a perspective of logistics and management: “video is an unusually successful training tool. It saves time, money, and resources” (4). Yet, in media studies, little attention has been paid to how training videos (and now VR experiences) fit within the culture industry. 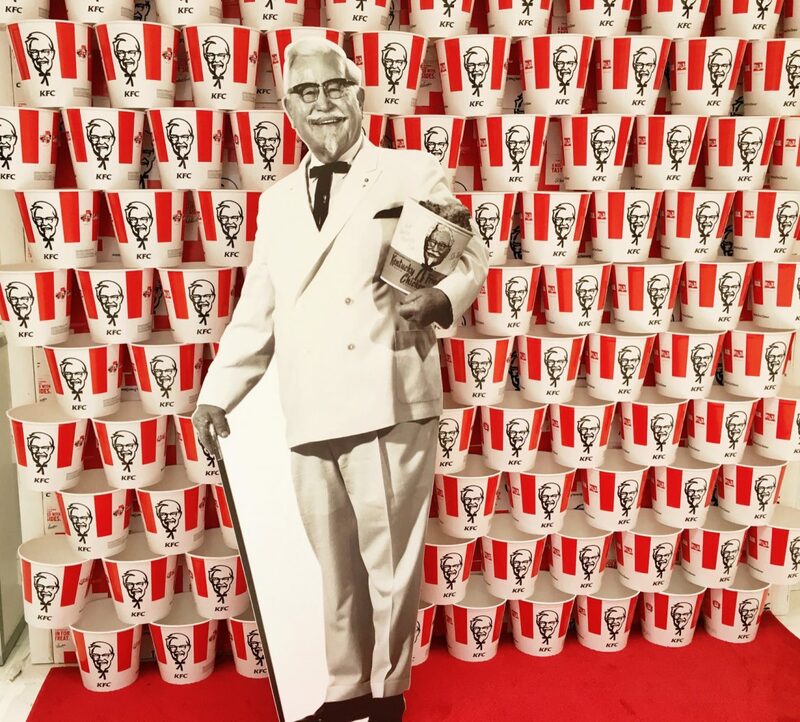 As KFC rides the cresting technological wave of VR, media scholarship must reckon: is the fast food giant merely trying to get a foothold in the technocultural zeitgeist, or is this a momentus shift towards the further gamification of work? This presentation is part of a personal devotion to the 'bad' or 'low' object: taking the media of fried chicken, and open the virtual reality experiment to issues of new media's instrumentalization, and the crises of labour in the fast food industry at large. This paper was presented at the Society for Cinema and Media Studies conference in Toronto, March 18th 2018.